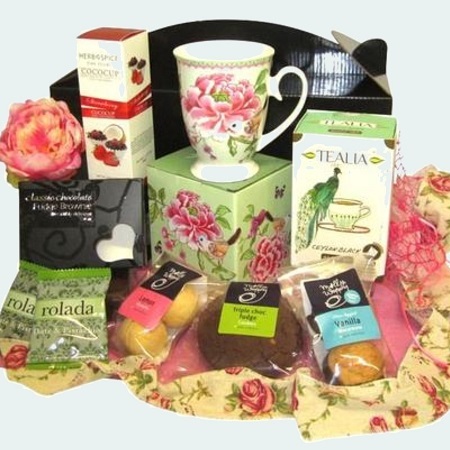 This lovely tea-themed gift box contains all the tasty essentials for an enjoyable Afternoon Tea. Featuring an assortment of delicious sweet treats, a beautiful fine bone china cup with a gorgeous floral design and, of course, tea! Your gift box will come beautifully wrapped in pretty ribbon with an artificial peony flower.